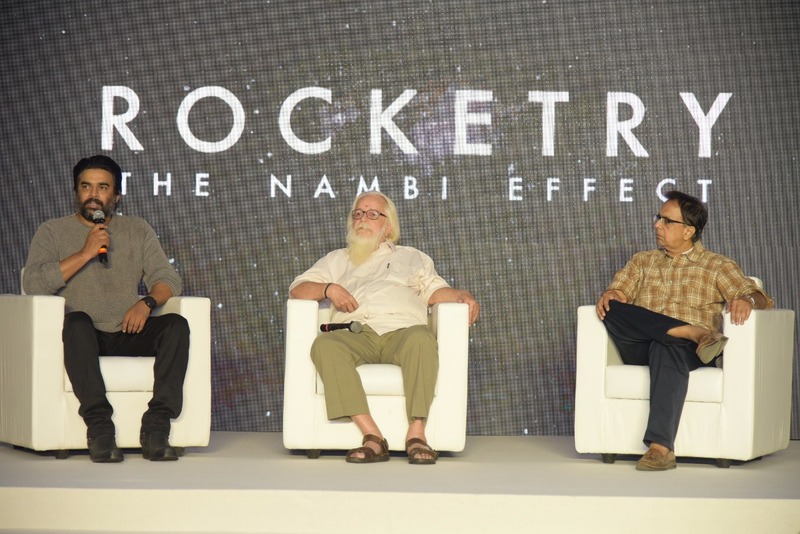 Tricolour Films in association with Varghese Moolan Pictures & Saffron Ganesha Entertainment presents ROCKETRY – The Nambi Effect, a movie based on the incredible story of Nambi Narayanan, the brilliant mind behind ISRO’s ambitious project of making India numero uno in the space satellite market. R Madhavan – the charismatic Indian actor essays the part of Nambi Narayanan with a host of celebrated names in pivotal roles. The film is being directed by the Indian National Film Award winning director Ananth Narayan Mahadevan and R Madhavan himself. The teaser of the movie was launched in four languages – Hindi, Tamil, Telugu and English recently in the presence of R Madhavan, Ananth Narayan Mahadevan and the man himself, Nambi Narayanan. To be shot over the next six months in India, Princeton, Scotland, France and Russia, ROCKETRY: The Nambi Effect will be a trilingual in English, Hindi and Tamil. The film is slated for a summer 2019 worldwide release. Tricolour Films in association with Varghese Moolan Pictures, Saffron Ganesha Entertainment are the joint producers. Rocketry – The Nambi Effect is scheduled to have a worldwide release in summer 2019.